The movies I’m adding to my Movies You Might Not Know list have two things in common: Amy Adams and Emily Blunt, who are among the top film actresses of this decade. The two co-star in “Sunshine Cleaning,” in which Adams is a single mom struggling to make ends meet by cleaning houses for a living. She’s having an affair with a married cop (Steve Zahn), who suggests she try a new business venture: cleaning up grisly crime scenes, which is much more lucrative than your ordinary vacuuming and dusting job. She recruits her sister (Blunt, the reigning Actor Who Must Appear In All Movies) as her partner, and gets her father, Alan Arkin (every year’s model of the Actor Who Makes A Movie Better), to keep an eye on her son. That quartet gets nice support from Clifton Collins Jr. as a one-armed janitorial-supply salesman, Mary Lynn Rajskub as the relative of one of the victims, and a one-scene shot by the always reliable Paul Dooley. All in all, a nice small film with a solid emotional center. 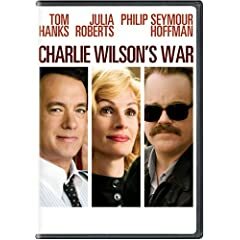 “Charlie Wilson’s War” stars Tom Hanks as a Texas congressman who loves women, booze, and power, who makes it his personal mission to fund Afghanistan’s defense against the Soviet invasion, circa 1980. He’s pushed into that role by Julia Roberts as a wealthy woman with a vitriolic distaste for communists and the ability to raise lots of money for the cause. Philip Seymour Hoffman nearly steals the movie out from under those two superstars as a CIA operative with tons of knowledge but no panache. Adams plays Wilson’s crisply efficient congressional aide, and Blunt has a small role as the daughter of another wealthy Texan. With a script by Aaron Sorkin and direction by Mike Nichols, the movie is perfectly paced and tells a story not widely known about how, by funding the Afghan effort to repel the Russians, the US was simultaneously laying the groundwork for the problems we now face in that region.  Check out the entire Movies You Might Not Know list.